Stephen Tarpley is an American professional baseball player who plays in the Major League Baseball (MLB). 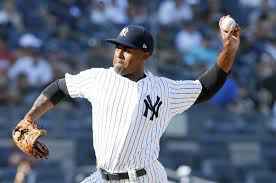 As of 2019, Stephen Tarpley currently plays for the New York Yankees as their pitcher. He played college baseball for the Trojans and joined USC but later transferred to Scottsdale Community College. As of 2019, Stephen Tarpley reportedly earns around $545,000 as his yearly salary from New York Yankees. Further, Stephen Tarpley has an estimated net worth of over $1 million. Currently, Stephen is dating his girlfriend Sarah Gomez. Stephen Tarpley was born on February 17, 1993, in Los Angeles, California to father Stephen and mother Adrienne. He is of American nationality and belongs to Mixed ethnic group. Stephen Tarpley attended Gilbert High School in Gilbert, Arizona where he played for his high school baseball team. After completing high school, Stephen enrolled at the University of Southern California where he played baseball for Trojans. As of 2019, Stephen Tarpley has an estimated net worth of over $1 million just like Zach Eflin. The detailed information regarding his actual contract with New York is not available but the MLB player has an average salary of $545,000 annually. The highest-paid player of the New York Yankees is Giancarlo Stanton who is receiving an annual salary of around $25 million annually. During 2013 MLB draft, he signed with the Baltimore Orioles a contract worth $525,000 for a season. 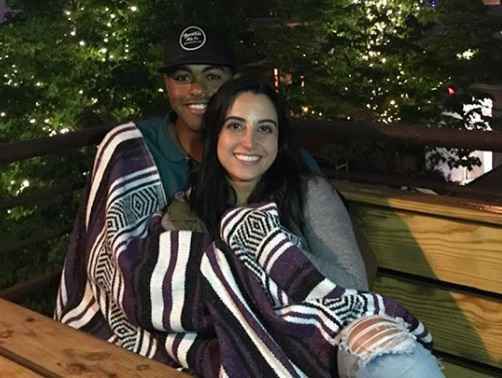 Stephen Tarpley is currently dating his girlfriend Sarah Gomez. They were having an affair for a long time. So far there are no rumors of them getting married or being engaged. They must be happy with the relationship since there are no rumors of their separation. Stephen's girlfriend is a psychology graduate from California State University. Currently, she is working for the Claremont Club in Southern California. Moreover, Sarah has two siblings and her father is the Vice-president and sales manager at WFG National Title Company Los Angeles County. The Famous MLB star is 6 feet in height and weighs around 107 kg. Stephen Tarpley is not only a world-class athlete but also has a very attractive individual. Other than being a famous MLB star, Stephen Tarpley is pretty famous in social media. Stephen began his MLB career with the Baltimore Orioles after being selected in the 2013 MLB draft signing a contract worth $525,000. In addition, he also played for the Pittsburgh Pirates, Aberdeen Ironbirds, Tampa Yankees, and many more. He was promoted on September 1, to the major league. During the playoffs, he pitched against the Red Sox in the second game of the 2018 American League Division Series. Currently, Stephen is playing for the New York Yankees as their pitcher.